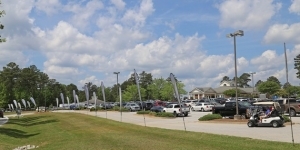 The Monticello and Tara Golf Courses are within the Savannah Lakes Village Community. 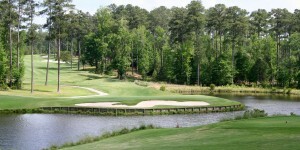 Savannah Lakes Village’s two 18-hole award-wining championship golf courses, carved from the rolling landscape wrapping Lake Thurmond, offer unique challenges and breathtaking vistas of the lake and piedmont forest. 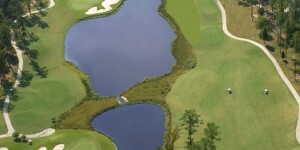 And best of all, membership into these first rate lakefront clubs are included with your property ownership! With five sets of tees at Monticello and six sets of tees at Tara, the course can be set-up to play from 4,500 yards to over 7,000 yards. We also offer excellent practice facilities available to include spacious driving ranges, putting greens, practice bunkers, and pitching greens. 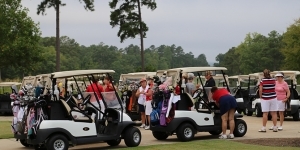 The area also offers a third 18-hole golf course at the Hickory Knob State Resort Park, giving Savannah Lakes Village residents access to three lakefront golf courses within a 5 mile radius of home!